Enjoy a day out in the relaxing singing sand dunes of Mesaieed along with a thrilling dune bashing experience. This 8-hour getaway takes you all the way to the breath-taking inland sea beach a.k.a Khor Al Adaid to watch the Sunset. 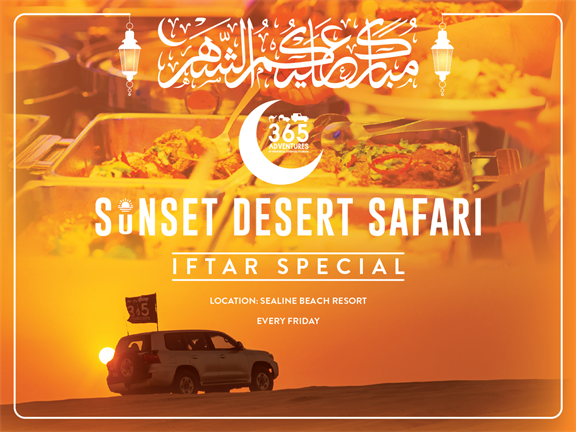 Break your fast with lavish Iftar at the resort. Only for 280QR per person. - We suggest you bring sunscreen, swimwear, towel, hat, snacks, and a camera.